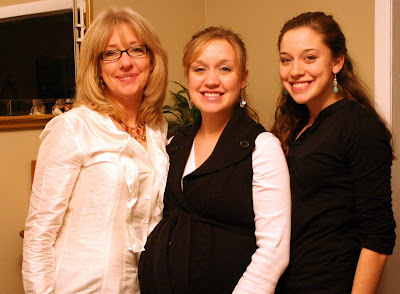 As you may (or may not) know, my mom, sister, and brother are all natural blondes. I on the other hand, have humongously curly brown hair. My brother and sister insist that this points only to the fact that I am adopted. Because there is all this hair drama(actually it's not that dramatic) in my family, I have taken it upon myself to tell them every new blonde joke that I hear. What's funny is that if any of us where to actually ACT more like the stereotypical ditzy blonde it would certainly be me, common sense has never really been my strong point. A blonde and her boyfriend are watching the evening news, the reporter comes on and reports that two Brazilian men have died in a skydiving mishap. The blonde immediately bursts into tears, "It's just so sad" she wailed, "so many people dead!" Her boyfriend was a little taken aback, but tried to comfort her. "It's a dangerous sport honey, people die skydiving every year." She snifffled, then looked thoughtful. "Honey?" She asked. "How many is a Brazilian?" What is your favorite blonde joke? Or rather, what is your favorite joke?? I love blond jokes! LOL Of course I can't even remotely think of any now, on the spot, but I KNOW that I know a bunch! Two blondes lock their keys in the car. One of the blondes tries to break into the car while the the other one watches. You guys are all so beautiful!!! Great picture of you all! I'm the only real blonde in my family. I have some help keeping it that way, LOL! I do laugh at blonde jokes, I've heard some great ones but can't think of any offhand! ok. i smiled. still smiling. no favourite blond jokes tho.